These are exactly what I’ve been looking for to go in the lake house. I needed 25″ or a little higher. What is the cost? Glad you like this barstool! It’s a great design and quite sturdy. I have emailed you further information on the product! 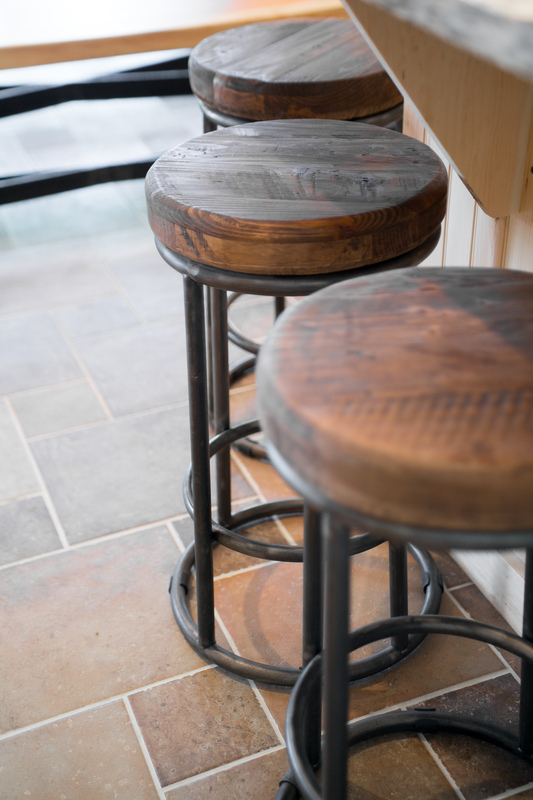 I would like a quote on these stools in a 24″ (counter height). Would love to know price on these….. love them. Are these still available? Looking for about 26″ height. Any chance there is a version with a white or lighter tone? (I could of course paint.) Any other photos/info would be very helpful. Yes, these barstools are still available. However, they are only available in a 24″ height, which is counter height. There is a whitewash wood seat with black metal base option. Please let me know if you are interested or if you have any further questions.